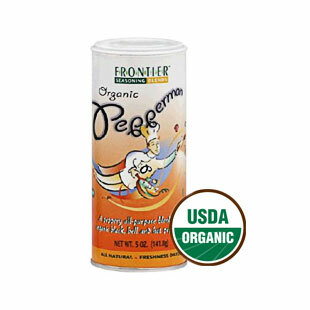 Add a little spice to your meal with the gusto of Organic Pepperman! Pepperman is a chef with a mission. Perk up those "almost" dishes and turn them into something delicious. QAI Certified Organic and KSA Certified Kosher. His exciting, organic blend of sea salt, hot peppers, black pepper, and bell peppers will put a little pizzazz in just about any dish. Team up with Pepperman and get your cooking noticed for its new lively flavor.